A high performance multi-tool package. Ready for every job whether big or small, this excellent-value multi tool package boasts a whole range of attachments. The engine unit has a powerful, smooth and high efficiency brushless motor, and is lightweight. 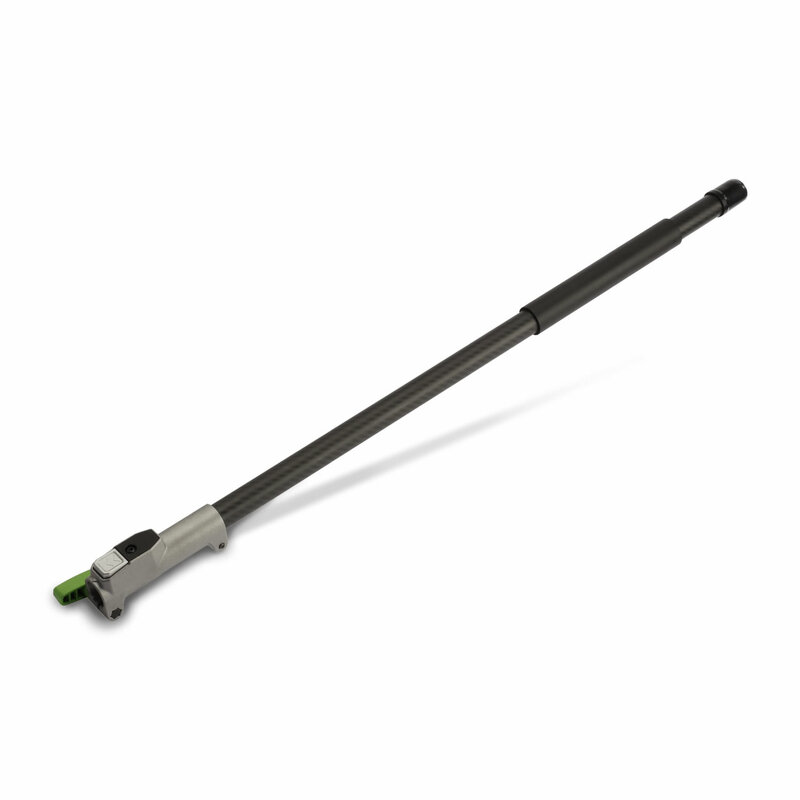 The unit features variable speed, a solid steel drive shaft and quick change coupling for easy switching of tools. 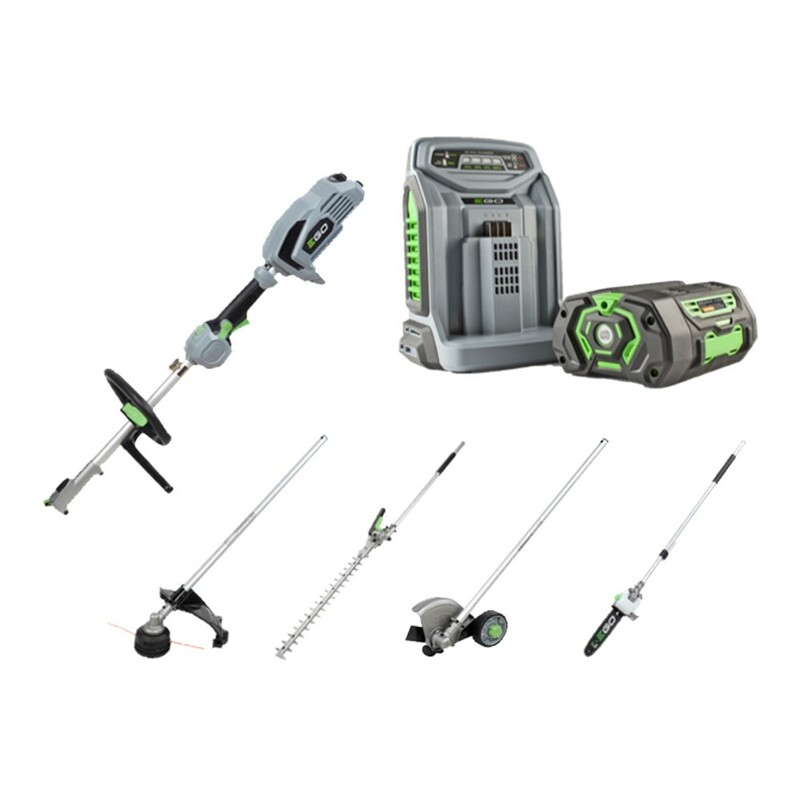 Weighing just 2.7kg, this lightweight head will power a variety of attachments due to its brushless motor, supplied with a 5.0Ah battery, featuring variable speed and solid 7 mm steel drive shaft. This is a line trimmer attachment with a cutting width of 38 cm and fitted with a 2.4 mm line with a rapid reload head. A hedge trimmer attachment with laser cut diamond ground blades and simple angle adjustment. Delivering optimum performance, this 56V battery has an innovative design to maximise battery cooling. Unlike conventional brick shaped batteries where the cells are packed together, this ARC design dissipates heat more efficiently, continuously monitoring and optimising each cell allowing to get the very best power and performance. The rapid charger in the package is able to charge the 5.0Ah battery within 40 minutes.